Have you ever thought of using your woodworking talents to create wood products for the next Craft Show? Christmas is coming and selling products for Christmas is a good way to supplement your income and help pay for your woodworking hobby. 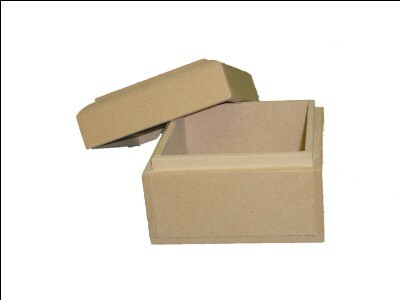 How about making paint boxes out of 1/2″ MDF and sell them unfinished to your customers. Let them paint them as they need. Project cost for materials is approx. 45 cents per box depending on the size of the box and they have the resell value of $3.00 to $5.00 each. You can mass produce these very easily and create an inventory of product quickly. We have three key tools used to help you create your Craft Show Inventory. B. Click here to try this FREE calculator that creates custom material lists. C. How To TRW video on the making of the Magic Box. 2) Create series of boxes that are designed to fit with one or more of the online custom picture books. It could be a custom gift box. Go online to find the common sizes. a) Build 5 boxes that fit inside of each other. b) Build a box to fit photo albums found at your local store. a) To make the 5 boxes, Start with the smallest then add 1 inch for the next box, add another inch to the next box…etc. Once done you have 5 boxes from smallest to largest each fitting inside of the other. b) How about creating a box that can hold common items like CDs or Photo albums. Just measure the sizes of the physical items and put the numbers in the calculator questions add the quantity push the calculate button out comes your material list. Idea one: a series of CD’s of various numbers, made for 2, made for 5 and maybe made for 10. Here we use the inside measurement tool to create the custom materials list. Idea two: Pick up some sample photo albums then measure and use the inside measurement tool again to create the materials list quickly and easily. How will I receive the info on boxes I just paid for? There are two ways that you will receive the files. 1) An auto-responder email from webmaster at routerworkshop.net will send you an email with the links immediately after you have paid.